Yasuko Shimizu and Her Fellow Singers perform at various dinner shows and concerts throughout the year. We have also been performing at 54 charity concerts for “The Fountain of Angels” for the last 22 years to support conquering pediatric cancer. 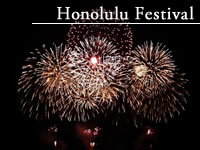 This will be our 21th consecutive time to participate in the Honolulu Festival. We believe that we can reach everyone’s heart through music. We continue to take part in promoting US-Japan friendship and cultural exchange. In Hawaiian language, lau means “leaf” and kaukani means “thousand.” We named our hula team Lau Kaukani “thousand leaves” as it is the literal translation of Chiba, our hometown in Japan. The Toby Johnson Middle School Jaguar Marching Band and Color Guard hails from Elk Grove, California. The band director is Mr. Jay Roberts. The members are all 8th grade students in their second year of band studies. This ensemble has won awards in several major competitions in Northern California this year. They are looking forward to marching in the Honolulu Festival Parade. A Family band that was formed in 2005 in Hawaii. “DNA” stands for Dad, Nick and Alex and yes, it is all in the genes. 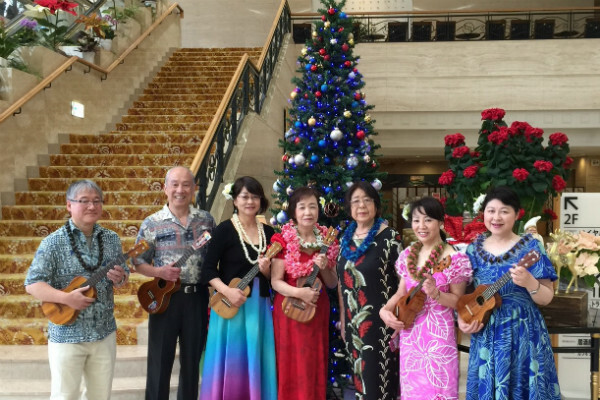 Original compositions “Discover Aloha with me” and others were featured as the Hawaii Tourism Japan campaign songs since 2008 and quickly become hits in Japan. “Aloha you -Kizuna-” a Japanese song that was featured as the song of the month in April and May on NHK TV program called “Minna no Uta” and has been attracting many fans. 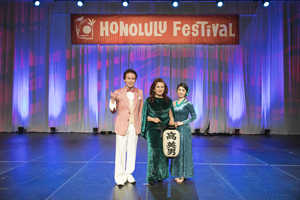 We look forward to participating in the Honolulu Festival where its mission is to promote Japan-US Cultural Exchange. We are more than happy if we are able to express the essence of Japanese traditional culture through our Tsugarushamisen performance. We perform “Kyokudan” and folk songs. The world is paying attention, to the Original Queen of Akiba-kei! Voice actress, singer, songwriter, celebrity, columnist, a supergirl who can master everything. Halko, also known as “Momoooi” by her fans, will be participating in the Honolulu Festival once again!